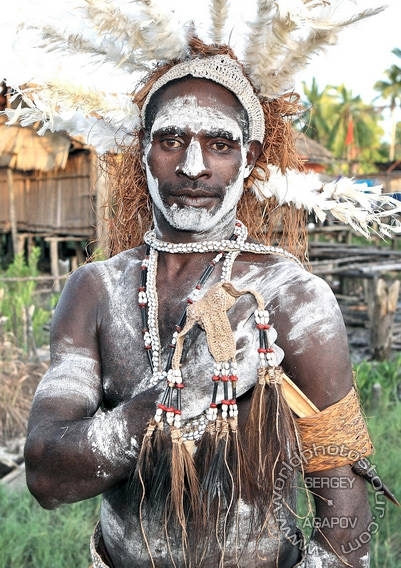 The Asmat people live in the hard-accessed region on the southwest of New Guinea. They enjoy high attention of scholars, not only due to their intricate sculpture but also because of cannibalism customs and cruel rituals. 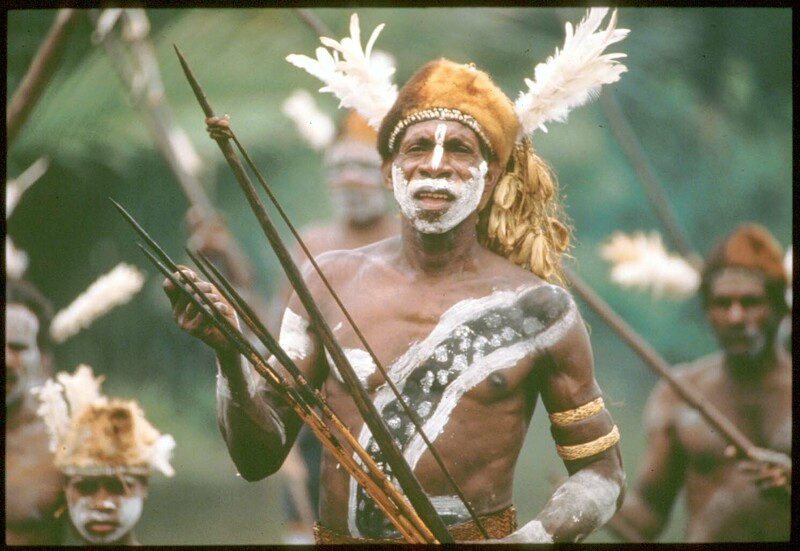 Asmat warriors make headdresses of interesting shapes, covered by river shells and bird feathers, and the headdress is often the only dress they wear. 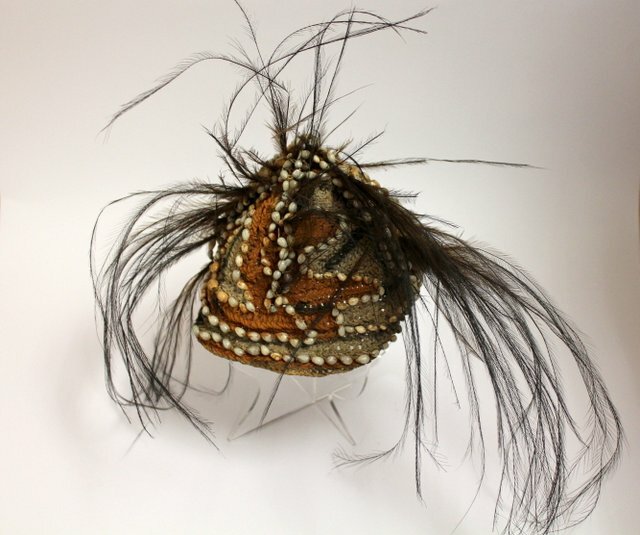 Indonesia, New Guinea, Agats, 20th cent.